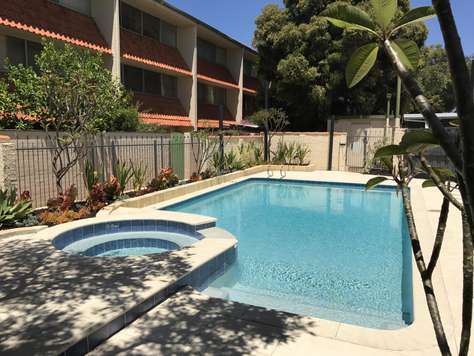 Beautifully presented ground floor courtyard apartment in Shenton Park, offering queen bed accommodation. Everything you need is here for a truly relaxing and worthwhile stay, including a great pool and bubbling spa! 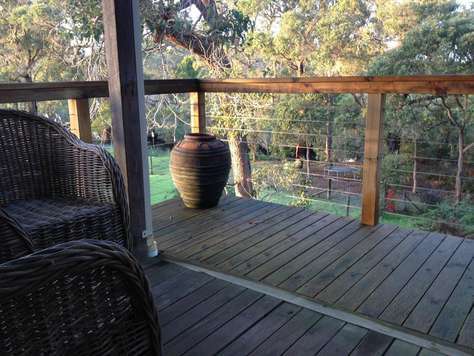 The area is quiet and friendly with all amenities such as the local shop, bakery and post office around the corner. 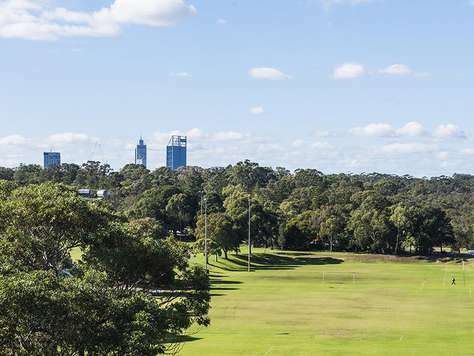 Nature is at your doorstep with the truly beautiful Kings Park 5 minutes walk away and if you fancy heading into the city you are a seriously short bus ride away. Shopping center with 24hour IGA supermarket is just down the road. 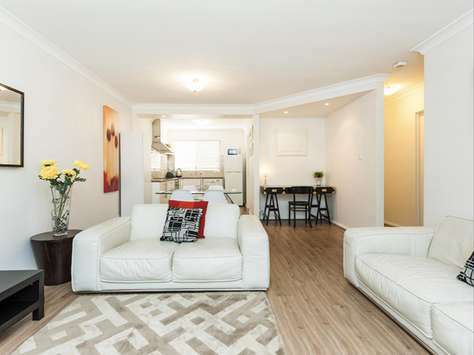 This stunning studio apartment is located in a secure complex, has a north facing private courtyard and is near to both University of Western Australia (UWA), Sir Charles Gairdner Hospital (SCGH) and the Perth Children's Hospital. Accommodation consists of a queen bed in the master bedroom, and a sofa bed in the lounge area. Off street, undercover parking for 1 car. This gated residential complex is opposite Rosalie Park and Rosalie playing fields, next door to King Park. Free Wifi. Please note the pool is unheated and will be open from mid October - mid April. 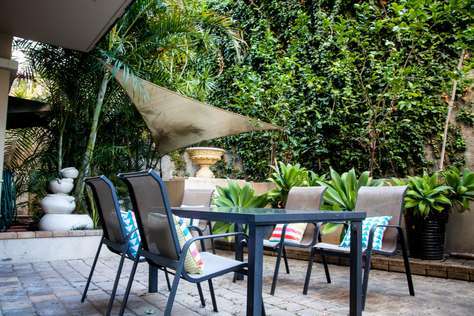 Beautifully presented ground floor courtyard apartment in Shenton Park, offering king bed accommodation. Everything you need is here for a truly relaxing and worthwhile stay, including a great pool and bubbling spa! The area is quiet and friendly with all amenities such as the 24 hour IGA supermarket, bakery and post office just down the road. 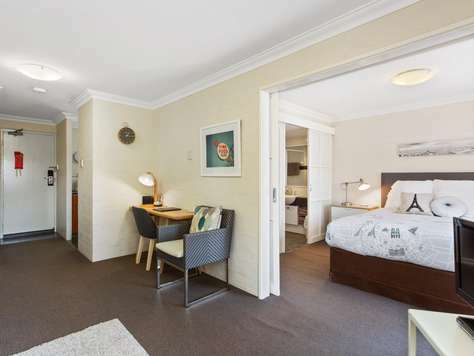 This lovely studio apartment is located in a secure complex, has a south facing private courtyard with park views, and is near to both University of Western Australia (UWA), Sir Charles Gairdner Hospital (SCGH) and the Perth Children's Hospital. Accommodation consists of a king bed or twin share in the bedroom, and a sofa bed in the lounge area. Off street, undercover parking for 1 car. This secure residential complex is opposite Rosalie Park and Rosalie playing fields, next door to King Park. Free Wifi. 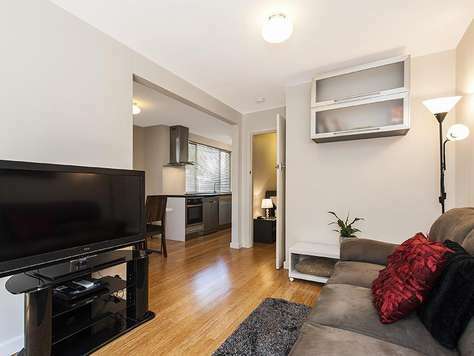 A superbly furnished second floor apartment in Shenton Park, offering king bed accommodation. Everything you need has been provided for a truly relaxing and worthwhile stay, including a great pool and bubbling spa! 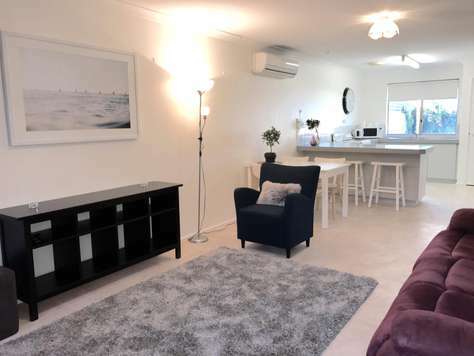 This stunning studio apartment is located in a secure complex, has a north facing views, and is near to both University of Western Australia (UWA), Sir Charles Gairdner Hospital (SCGH) and the Perth Children's Hospital. Accommodation consists of a king bed in the master bedroom - which can be split to twin beds on request, and a sofa bed in the lounge area. Off street, undercover parking for 1 car. This gated residential complex is opposite Rosalie Park and Rosalie playing fields, next door to King Park. Free Wifi. There is no lift, stair access only. 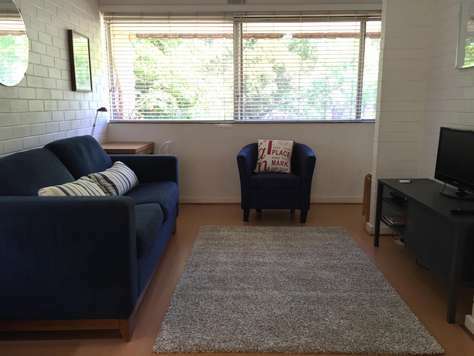 A great little second floor apartment in Shenton Park, offering king bed or twin share accommodation. Everything you need is here for a truly relaxing and worthwhile stay, including a great pool and bubbling spa. 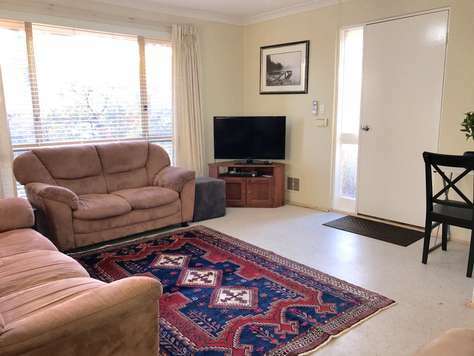 This studio apartment is located in a secure complex, surrounded by parks and is near to both University of Western Australia (UWA), Sir Charles Gairdner Hospital (SCGH) and the Perth Children's Hospital. The gated residential complex is opposite Rosalie Park and Rosalie playing fields, next door to King Park. The area is quiet and friendly with all amenities such as the 24 hour IGA supermarket, bakery and post office just down the road. Accommodation consists of a king bed in the master bedroom, which can be split to twin singles on request - and a sofa bed in the lounge area. Off street parking for 1 car. Share pay as you go laundry onsite. Tbere is no lift, stair access only. Please note the pool is unheated and will be open from November - April. 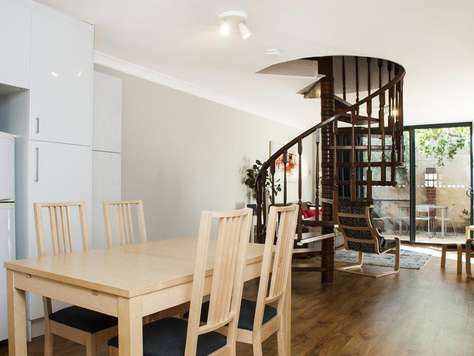 Beautifully presented third floor studio apartment with tree top views and northern light. Everything you need is here for a truly relaxing stay, including a great pool and bubbling spa in a gated security complex. The area is quiet and friendly with all amenities such as the 24 hour IGA supermarket, bakery and post office just down the road. 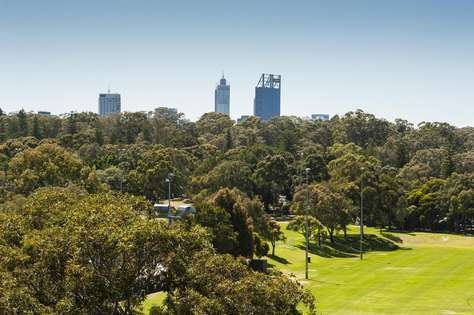 Nature is at your doorstep with the truly beautiful Kings Park 5 minutes walk away, Sir Charles Gairdner Hospital, the Perth Children's Hospital, Hollywood Hospital, University of Western Australia and Perth city all very nearby. Accommodation consists of a queen bed in the bedroom, ensuite bathroom, lounge/dining area and fully equipped kitchen. Off street undercover parking for 1 car. This residential complex is opposite Rosalie Park and Rosalie playing fields. Third floor apartment, off street parking for 1 car, swimming pool/spa and free Wifi. 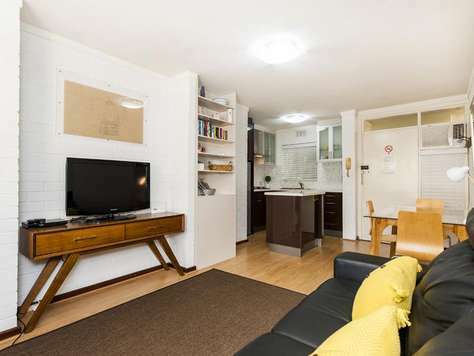 Third level apartment with north facing light in a secure complex and great location. Fantastic access to Perth city, UWA, the New Children's Hospital and Charlie Gairdner Hospital. Available for short or long term rental. This top floor apartment offers plenty of natural light with its northern aspect and southern park views. The area is quiet and friendly with all amenities such as the 24 hour IGA supermarket, bakery and post office just down the road. 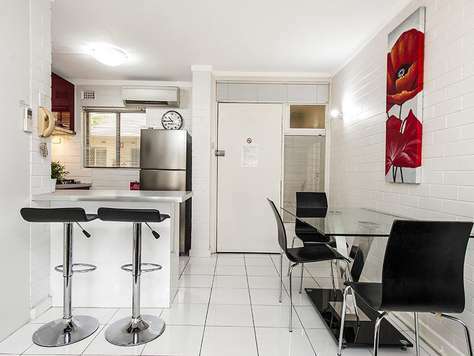 The apartment is conveniently located across the park from Sir Charles Gairdner and Perth Children's Hospitals and is also within 5 minutes of the Hollywood Private Hospital, Princess Margaret Hospital, King Edward Memorial Hospital, and St John of God Hospital, in addition - close proximity to amenities with shops a 5 minute walk away. Accommodation consists of a queen bed in the bedroom, with ensuite bathroom, full kitchen, lounge/dining. There are share laundry facilities on-site. Third floor, offsrtreet parking, swimming pool/spa & free Wifi. Third level apartment with park views in a secure complex and great location. Fantastic access to Perth city, UWA and Charlie Gairdner Hospital. Available for short or long term rental. This top floor apartment offers plenty of natural light with its northern aspect and southern park views. Freshly decorated throughout and with air conditioning for your comfort. 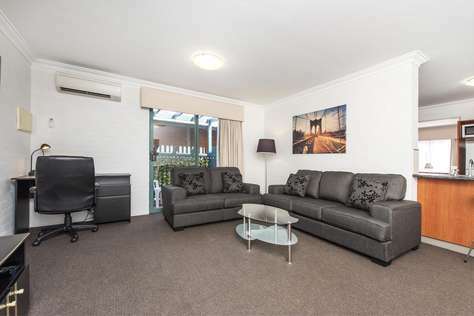 The apartment is conveniently located across the park from Sir Charles Gairdner Hospital and the Perth Children's Hospital, the Hollywood Private Hospital, Princess Margaret Hospital, King Edward Memorial Hospital and St John of God Hospital. This lovely ground floor apartment has a modern stylish look with an open plan kitchen, dining & lounge and separate master bedroom. There are full laundry facilities within the apartment (washer, dryer and clothes line) and an alfresco courtyard for the exclusive enjoyment of guests. Accommodation consists of a queen bed in the master bedroom. Undercover, offstreet parking for one car and free WiFi. 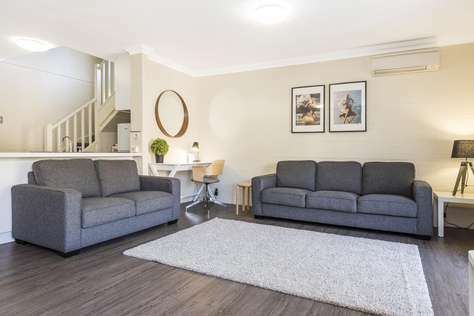 Walking distance to Sir Charles Gairdner Hospital and the Perth Children's Hospital, and with easy access to University of Western Australia. The Shenton Village Shopping Center is an easy walk away. Kings Park and all its delights are just across the road. 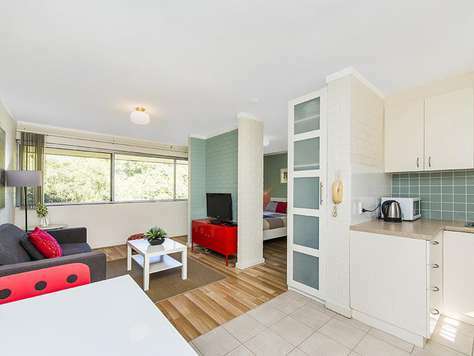 With a comfy bedroom and ensuite, large screened balcony for outdoor dining and an internal laundry facility, this smart and roomy one bedroom apartment is a favourite with repeat visitors to Shenton Park. 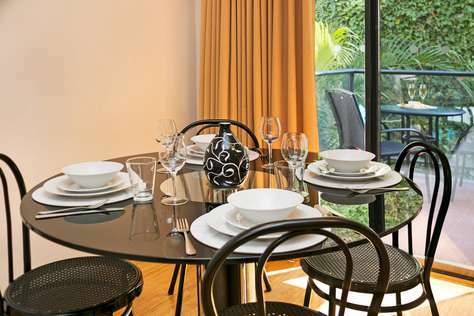 Located in private and peaceful surrounds, with full shopping amenities only a short distance away. 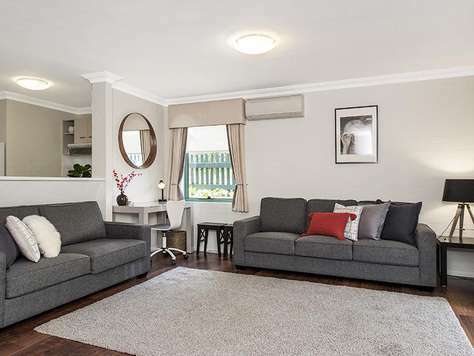 5 minutes from the Perth CBD, and with convenient access to West Perth, Subiaco, Nedlands and Crawley. Accommodation consists of king bed in the bedroom, and a comfortable sofa bed in the lounge room. Off street undercover parking available for 1 car. This is a superbly presented one bedroom ground floor Subiaco apartment in a tranquil leafy location. There is a separate bedroom with ensuite bathroom, large enclosed balcony area presented as a study, and a modern open plan kitchen/lounge. 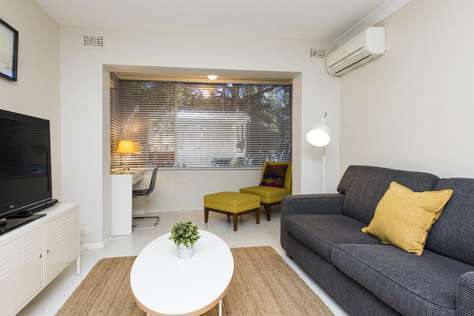 Located 5 minutes from the Perth CBD, and with convenient access to West Perth, Subiaco, Nedlands, Crawley and near to the University of Western Australia (UWA). SJOG Subiaco is an 11 minute walk away. Accommodation consists of queen bed in the bedroom, and a comfortable sofa bed in the lounge room. Off street parking available for 1 car. This is a modern and stylish one bedroom, two bathroom, two storey executive apartment with office and balcony. 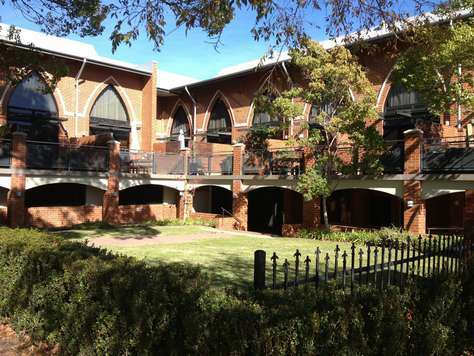 Cloisters is located in the heart of Subiaco and is ideal for tourism, business and hospital related stays. Subiaco's vibrant Rokeby Road shopping precinct is only meters away, offering something to cater for all tastes: pubs, cafes, restaurants, fashion, markets and theatres. There is also a bus stop outside offering direct access to the city. 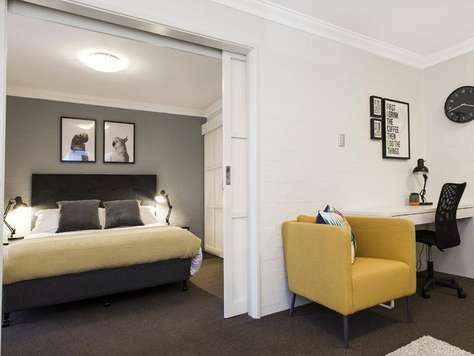 Accommodation consists of a king bed in the master bedroom upstairs and a sofa bed in the lounge room downstairs. There is undercover secure parking for one car. 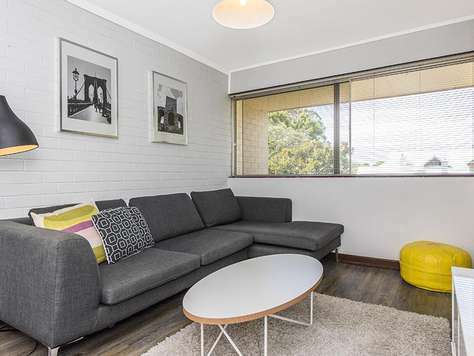 This super stylish and modern Subiaco apartment is situated on the ground floor, with a large north facing courtyard and a 5 star Subiaco location. Accommodation consists of queen bed in the master bedroom,and a queen bed in the second bedroom. 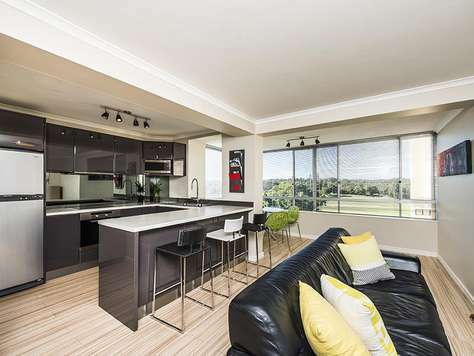 There is a modern open plan kitchen/dining and lounge area. Internal laundry with washer and dryer. Secure undercover parking provided for 1 car, free Wifi. This apartment is on the second floor with stair access, has 2 bedrooms, 1 bathroom and sofa bed with lovely north facing light. This apartment is on the second floor (one level up) with north facing aspect and small outdoor sitting area. This apartment is on the ground floor with north facing aspect and a small courtyard. 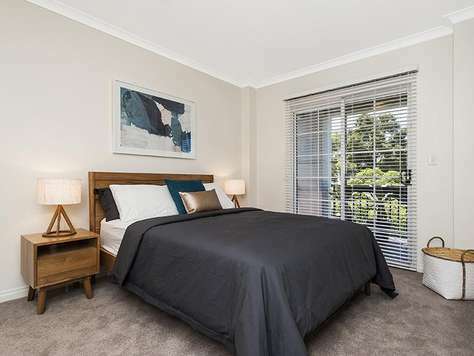 This ground floor apartment offers family friendly executive accommodation in the heart of Subiaco in a tranquil north facing setting. 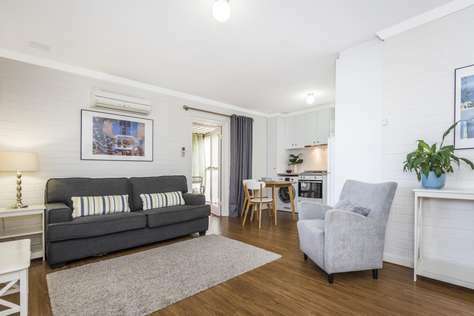 Situated on the most north eastern corner of the complex, this apartment's address would be more accurately described as - corner of York and May St. You have the luxury of parking your car at your doorstep and walk to all that Subiaco has on offer. Accommodation consists of a queen bed in the master bedroom and twin beds in the very roomy second bedroom plus a sofa bed in the lounge. There is a small alfresco area outside, with a larger shared BBQ alfresco area at the swimming pool just nearby. Internal laundry comes with a washer and dryer. Secure undercover parking provided for 1 car. This apartment is conveniently situated on the ground floor and has a small courtyard. An incredible park side location with a sunny courtyard and close to everything. Accommodation consists of queen bed in master bedroom, and twin share in the second bedroom. Off-street parking provided for 1 car. 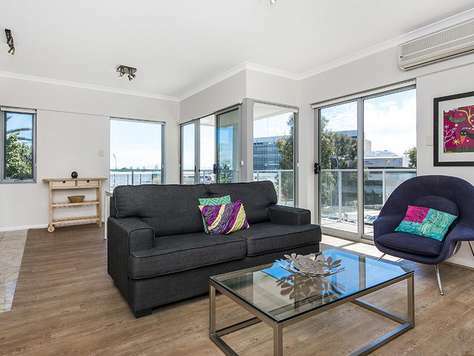 This stylish penthouse apartment is a short walk to Shenton Park's Onslow Road shopping village, Sir Charles Gairdner Hospital, the Perth Children's Hospital and Hollywood hospital. The University of WA is conveniently nearby, and walking distance to Sir Charles Gairdner, the New Children's and Hollywood hospitals. The bus passes by the apartment taking you into Perth City, Subiaco, Cottesloe Beach, Claremont and Fremantle. 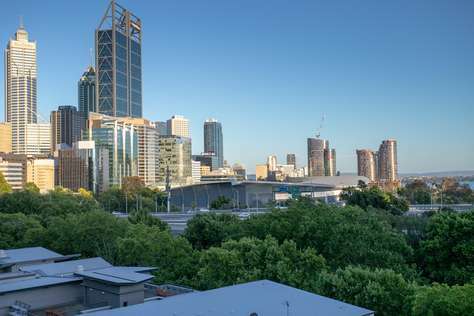 An incredible park side location with stunning Kings Park and Perth City views. It provides excellent facilities in a very convenient location. Accommodation consists of king bed or twin share in master bedroom, twin share in the second bedroom and the use of a sofa bed in the lounge if needed. There is A/c in the lounge and master bedroom. Undercover parking provided for 1 car. Free unlimited Wifi. No properties showing as available? No time to find out how all this tech works? Lookign for multiple properties? Our office can assist you in your search for the right property. Enter your dates and partiuculars here and we'll send you some options. Leave it with us, we'll find you something. Save on time, let us do work.